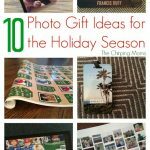 For more holiday inspiration, please follow our Pinterest boards for our latest pins, including all our favorite holiday ideas! 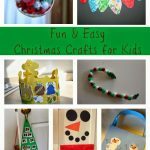 We are getting into the holiday spirit & today we are sharing some fun holiday craft ideas for kids. 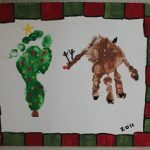 All these holiday craft ideas are created from your child’s handprint, footprint, or fingerprints! 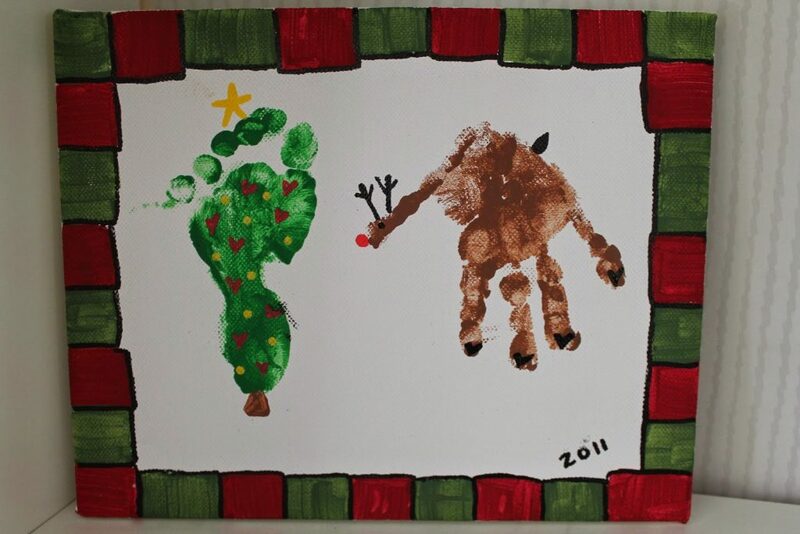 Handprint & footprint crafts are one of our favorite crafts to do with kids because they are just so cute. 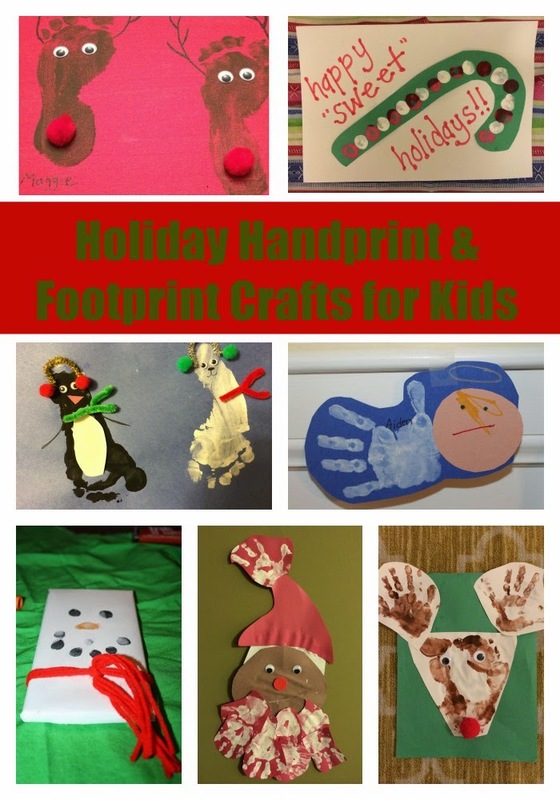 So have fun, get a little messy, & enjoy these fun holiday handprint and footprint crafts! 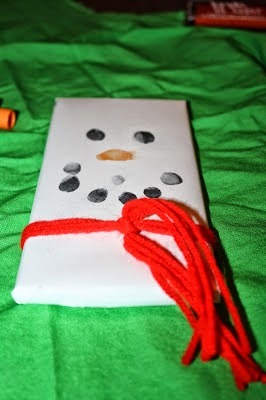 Make footprints at the bottom of the page with white paint. 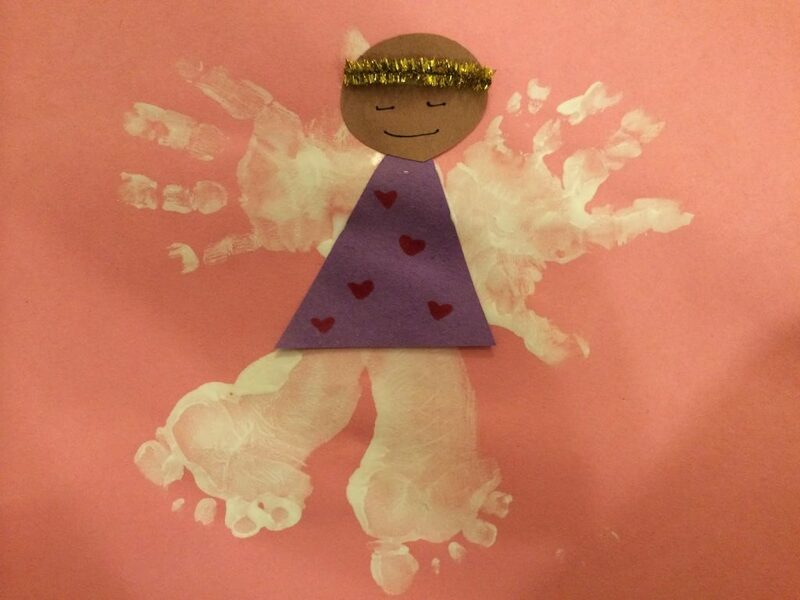 Make handprints for the wings with white paint and let dry. 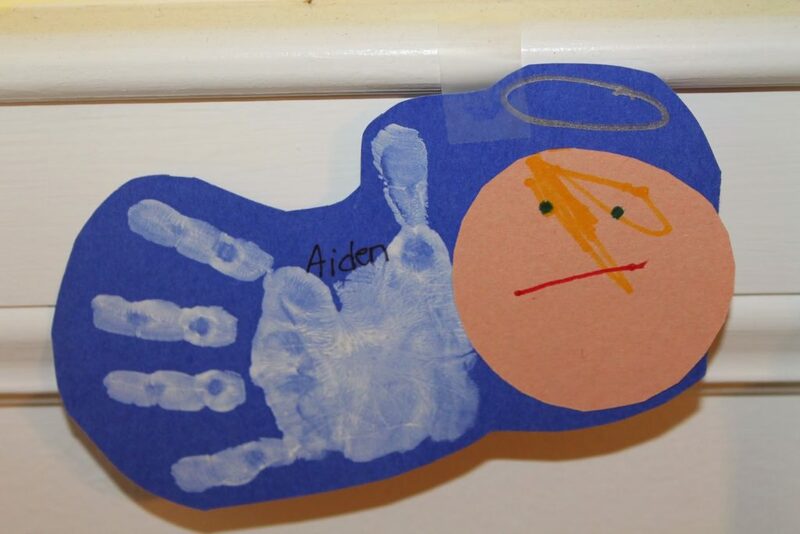 Glue on a piece of construction paper for the angel. Add a face & a halo with a gold pipe cleaner. 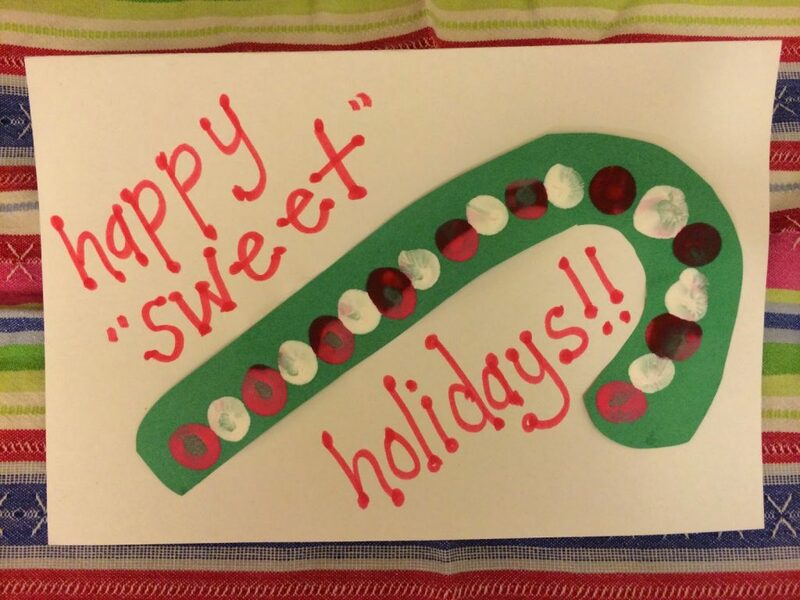 On a piece of green construction paper, make a candy cane with a finger dipped in red & white paints. Let dry and cut out. 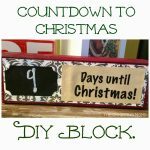 Glue to white construction paper and make card. 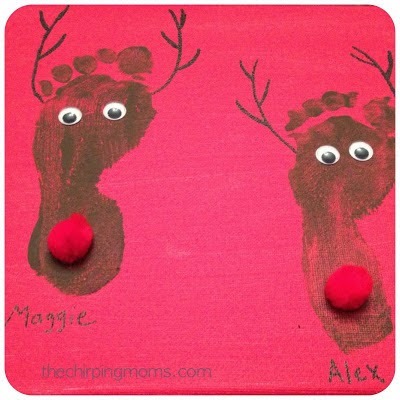 Make a reindeer head with footprints. My son did three footprints in the shape of a triangle. 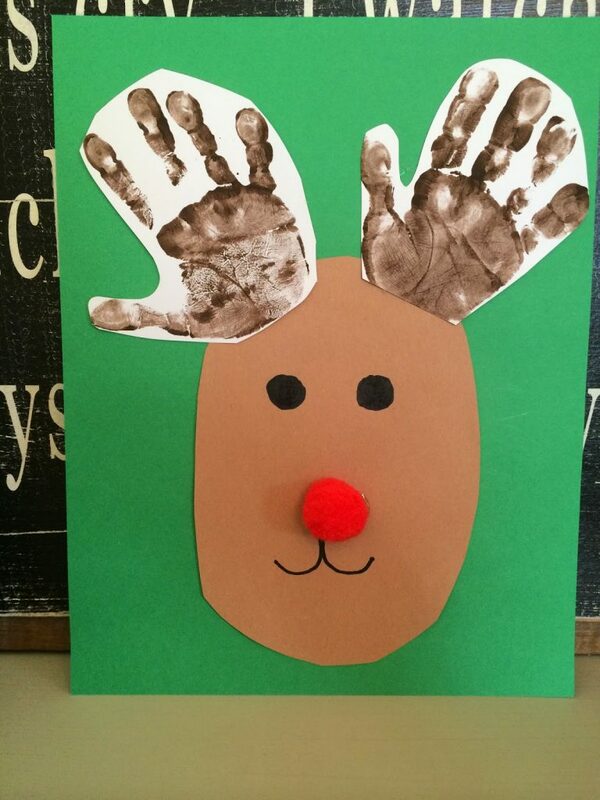 On a separate piece of white paper, make two more handprints for antlers. Let dry. 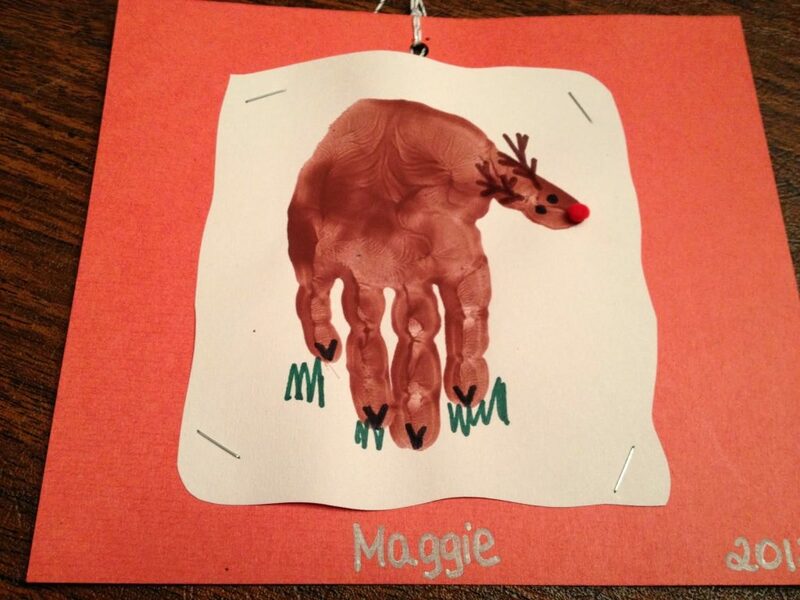 Cut out and glue onto another piece of construction paper. Add wiggle eyes and red pom pom for nose. 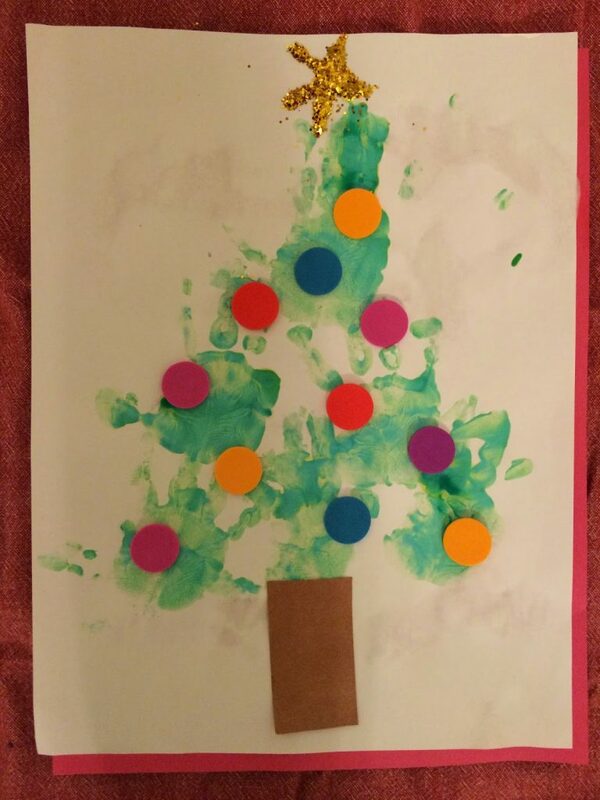 Make handprints in shape of tree with green paint. Let dry. 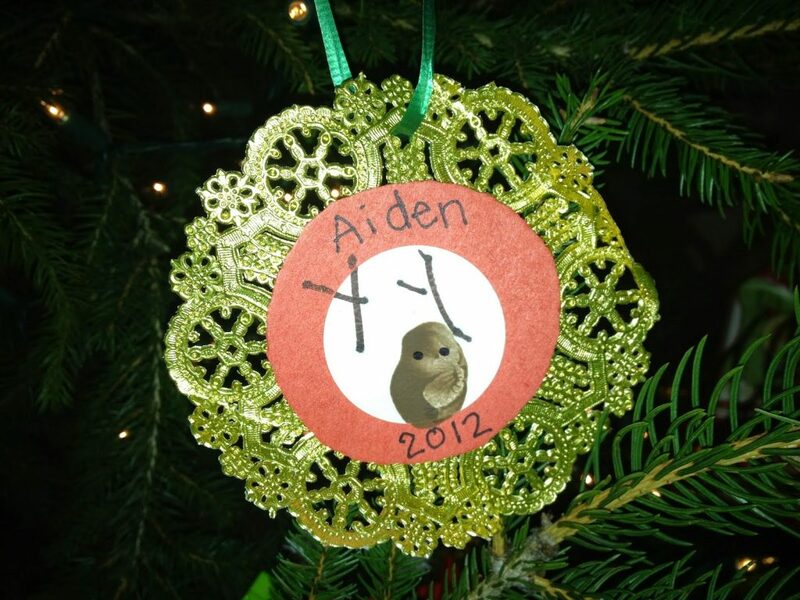 Add foam stickers for ornaments. Add a brown piece of construction paper for trunk. Make a star shape and add glitter for the star! Make one black footprint & one white footprint on a piece of paper. Let dry. Cut out a piece of white paper for the penguin’s belly. Add little flippers with a black marker onto penguin. Add a beak out of construction paper the penguin. Add a nose and mouth to the polar bear. Add wiggle eyes. Add pipe cleaner scarfs. 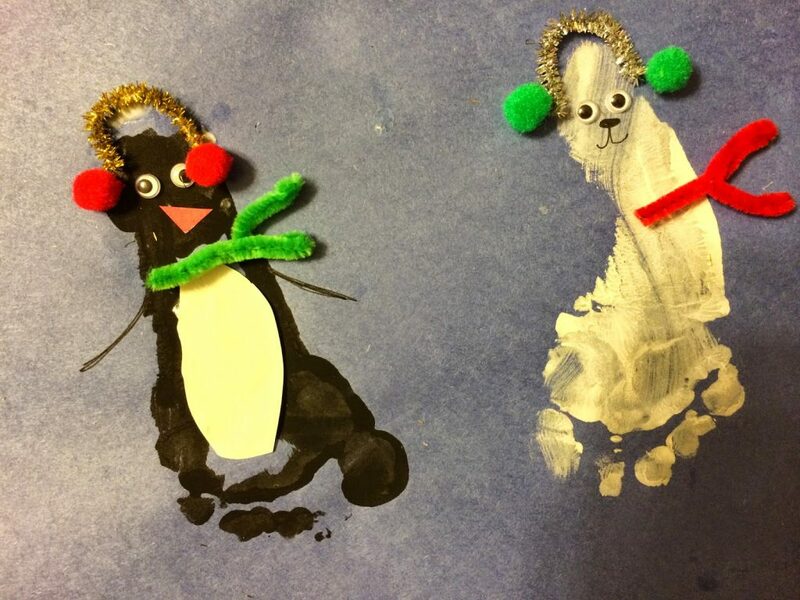 Make earmuffs with pipe cleaners and pom poms. 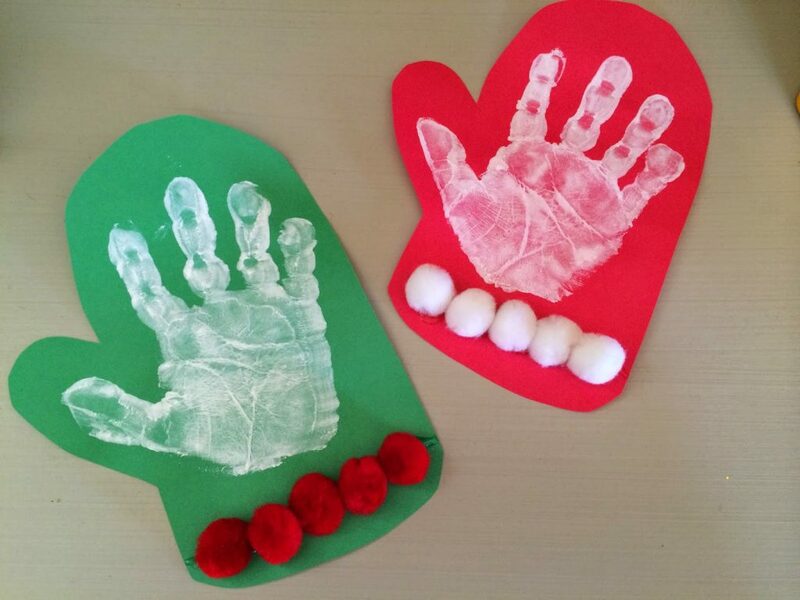 Have child make a bunch of white paint handprints on red paper. Let dry & cut out. 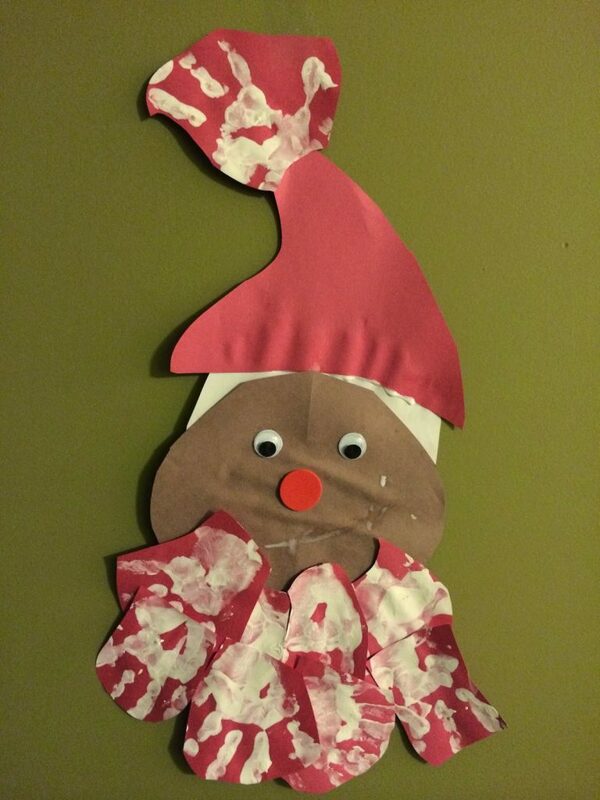 Make a Santa face using construction paper, wiggle eyes, and foam sticker for nose. Add the handprints for the beard. 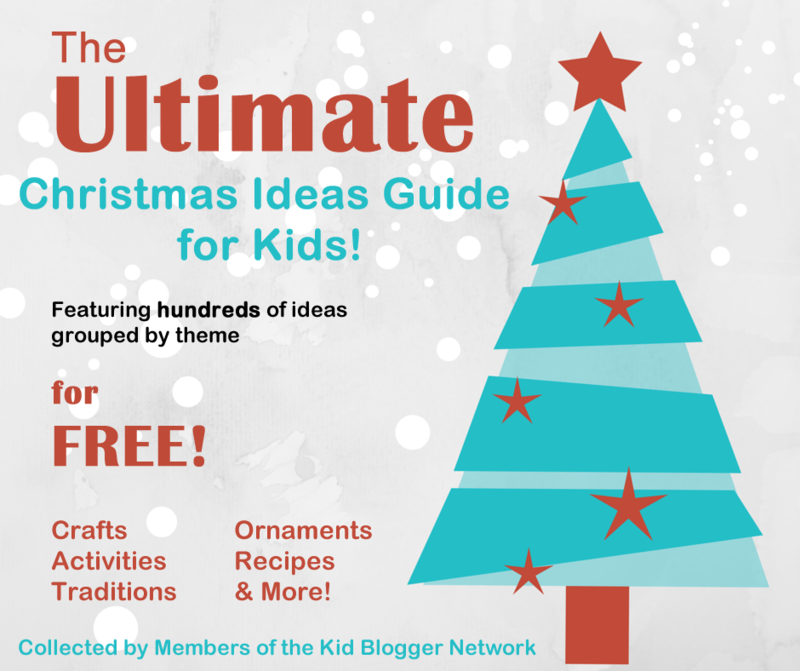 Make a Santa hat out of red paper and add handprint to the end of the hat. Cut a mitten shape out of red or green construction paper. 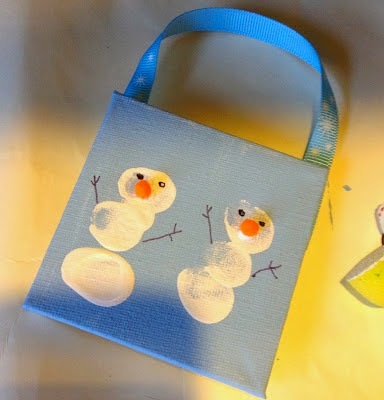 Do a white paint handprint & let dry. Add pom poms. 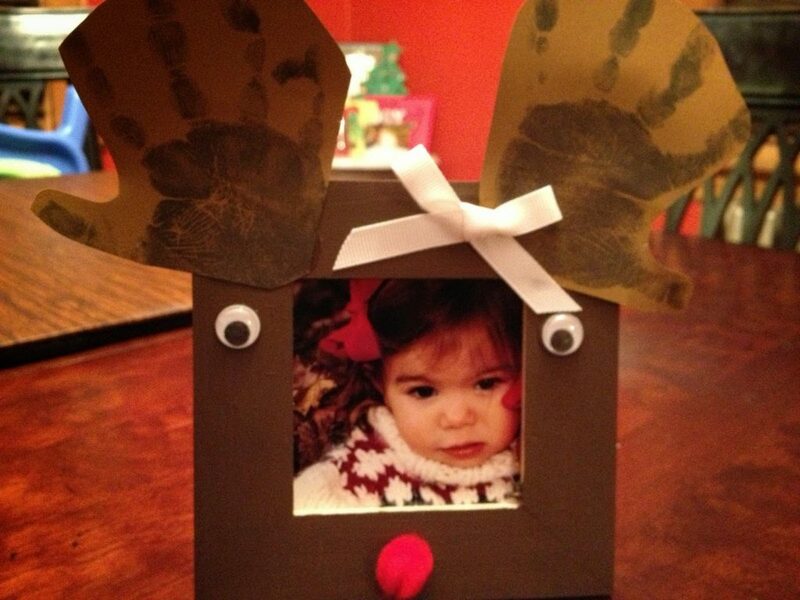 Make a cute reindeer out of construction paper. 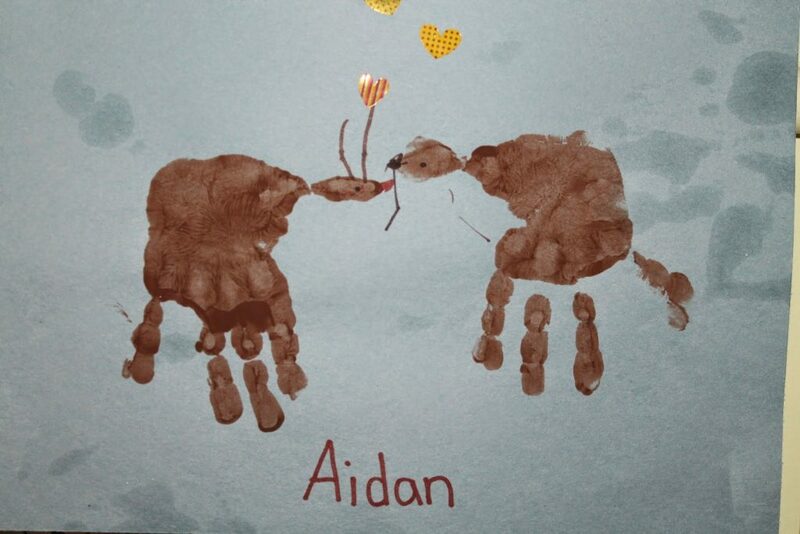 Add antlers with brown handprints. 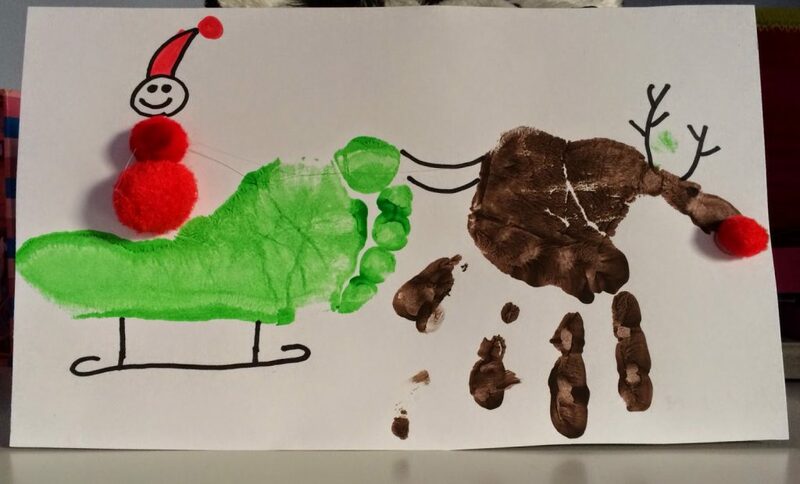 Make a green footprint for the sleigh. 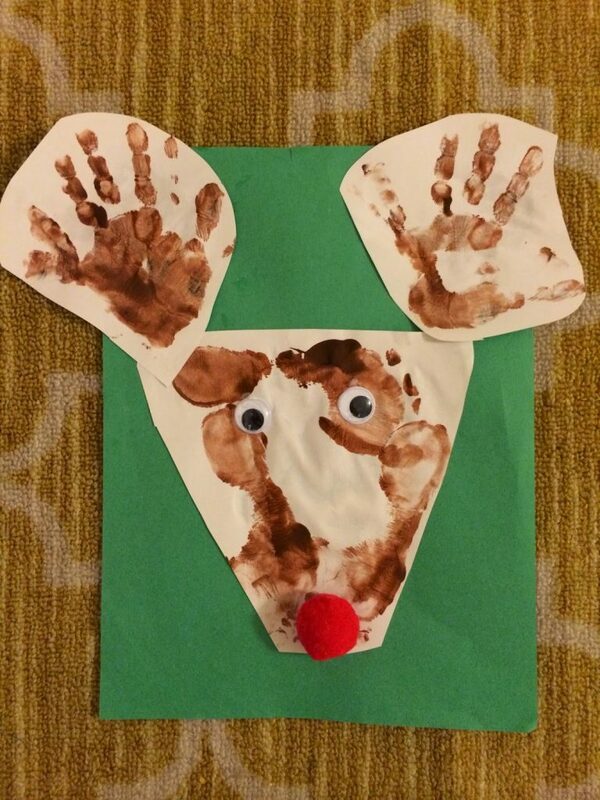 Make a brown handprint for Rudolph. Add drawings to picture. Add a red pom-pom for Rudolph’s nose. Add red pom-pons for Santa. 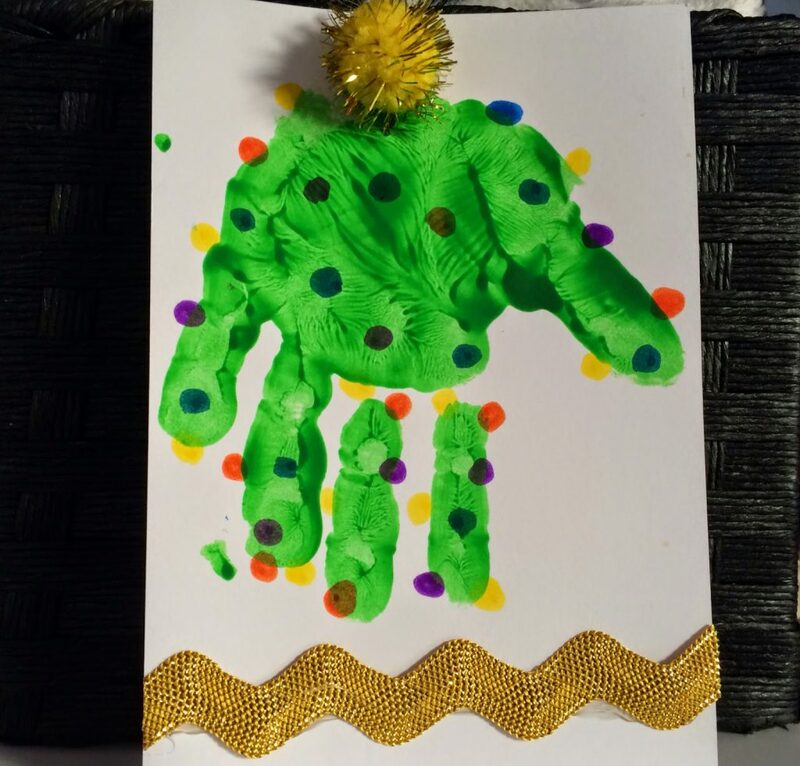 Make an upside down green handprint. Let dry. Add a gold pom pom at the top for the star. Use markers to add Christmas lights. Decorate paper. AND now, for the fun part, you can enter to win one of FOUR $500 cash prizes directly in your paypal account! This giveaway is open internationally. You must be 18+ years old to enter. Void where prohibited. No purchase necessary. Winners will be notified via email and have 48 hours to respond before another winner is chosen. Please see detailed terms and conditions below the giveaway for more info. Good luck! 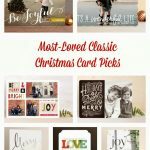 Gorgeous set of ideas and prints!